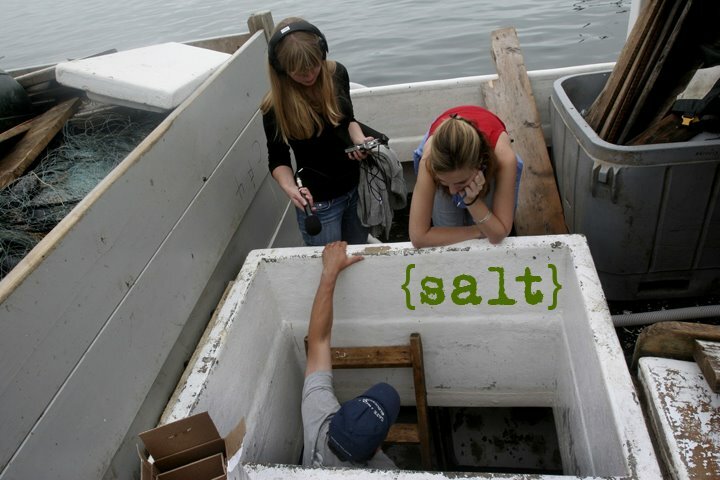 When prospective students or interested listeners check out the Salt Institute's Web site, they get to hear well-thought out audio documentaries and see a lot of great black and white photos and tightly written narratives about life in Maine. It's exciting to see such amazing work, and to know there's a school out there pushing to make students do their best to tell honest stories about people whose voices rarely get heard in the media. But what you don't hear or see on the site is the tremendous amount of struggle the students here go through to put these pieces together (and I can say "we", because I hear about these challenges every day from other Salties). I mean, it's one thing to have a compelling idea, a social issue, or an amazing person that you want to talk about. It's quite another to get that story. Sometimes, an idea turns out to be completely unfeasible because of how we're telling our stories here—we all have limited time and resources, and that means focusing our ideas a little more than we might if we were, say, writing a book on the subject. Other times, a person is less than receptive about sharing his or her life with you. It's understandable, sure, but it can derail an otherwise successful piece just as it's building good velocity. Other times, you can't find your subject at all and you have to abandon a good idea because the main character of your story is M.I.A. Then toss in legal issues, ethical dilemmas, uncomfortable social situations...you name it, it's probably happened during a student's story. The storytelling we do here at Salt requires a delicate process. You can never take anything you're doing here for granted, because as soon as you think you have a strong grip on a story, it can slip out of your hands and your control. So one of the big ideas you learn here is how to be incredibly flexible. That can mean being prepared at any minute to tell the story in a different way, or it can even mean giving up on a failing project and running full throttle toward something else. It's a humbling lesson. I can't say that it's an easy lesson, though, or one that doesn't really hack me off sometimes (You try running around the state of Maine for eight hours trying to find a lead on a subject, only to come back empty-handed, and see how you feel. It's not as fun as it sounds, trust me). But what keeps me going during this whole escapade of driving around the state, cold calling, researching, and tearing out my hair is the idea that somehow, every semester, every student manages to find a great story. These are the stories that hit the Web site and hang in the gallery. This is the stuff that draws you to attend this school or at least follow its progress in the world of journalism. Just knowing those stories are around means there are stories everywhere, and that people eventually tell them. Because, really, (and I know this will sound obvious) these aren't our stories. They are someone else's. And when a subject tells his or her story, he or she is giving a gift to us. And once the end of the semester hits, and we've shared our subject's story with others in the best way we know how...well...that's our gift to our subject. And that's what we're here to learn about. We all just have to remember at this stage of the process not to lose heart. If we just keep working hard, it will come. It has to. At least, that's what I have to keep hoping. 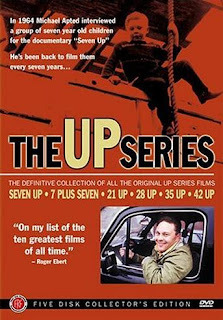 I know most of you will still be chasing your stories on Monday, but what do you say to a little bit of The UP Series in the student lounge? WHEN: Monday, October 1st. 7:00. WHY: Because it's a good documentary, and you'll be smarter for having watched it. So I hear. We could even grab a little food if you want. Just a thought. Be there, or be somewhere else entirely.